When you’re looking to upgrade your Double DIN stereo head, having just the right amount of features can make or break a deal for you, especially if you’re on a budget. While it might be tempting to buy the most expensive, high-end piece on the market, you can easily find out that you will never really use every feature and that you would be just as happy with a much simpler model, such as JVC comes to mind. On the other end of the spectrum, however, you may decide to buy the cheapest model possible and miss out on all the great features an aftermarket stereo head can provide. Fortunately for you, Kenwood, one of the industry leaders in car entertainment systems, has an extensive line of car stereo heads with a variety of features. Here, we’ve picked out three of the best Kenwood double DIN head units to help you find the model that has everything you need and charges you for nothing that you don’t. For those of you who just want to improve on your stock stereo system, the DPX300U stereo head offers you all the basics and then some. 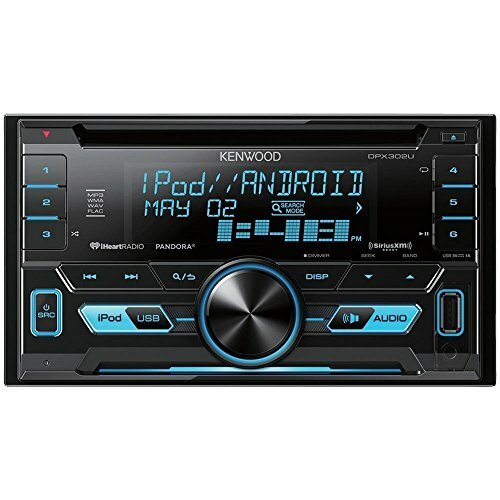 In addition to a great terrestrial radio reciever, preset channels, and a three band equalizer that you would expect on any in-car stereo head, this Kenwood double DIN car stereo gives you a front-facing USB cable to play digital music as well. Simply plug in your USB mass storage device, whether it’s a hard drive, a thumb drive, or an Ipod, and the DPX300U will play MP3 files, as well as WMA and AAC audio files. If you happen to have a mobile device with Pandora radio or Sirius XM, this stereo head also has support for those apps as well. With two-way control and Kenwood’s advanced search options, all of your mobile device’s music files are easily searchable on the stereo head, making it that much easier to watch the road while listening to your music. Once again, this model takes everything you would expect in your stock radio, and improves upon every detail. With the DPX500 by Kenwood, you’re going to get everything you would normally get on the DPX300 with the addition of Bluetooth connectivity, allowing your stereo unit to communicate with other Bluetooth devices and share data. While this is useful if you have a car full of passengers with Bluetooth enabled devices, this Kenwood head unit really shines with its mobile communication; by simply plugging your Iphone into the USB dock, you can make hands-free calls with Kenwood’s crystal clear sound quality and phonebook support. If you’re the type to make calls in your car, or you have a long commute and want to stay in touch with your work, the additional Bluetooth will help you get the most out of your drive time. This particular unit falls into our top 5 picks for the highest rated 2 din head unit based on value, features, and longevity. For those of you who want to be able to use your stereo head unit for as much as you possibly can, the next step is 6.1 inch LCD screen and DVD playback capability, both of which you’ve got on the Kenwood DDX271. In addition to all the features you’d be getting on the previous two head units, the DDX271 is a Kenwood double DIN touch screen with support for video files, either through the DVD port or through a connected mass storage drive, perfect for parents to keep children entertained on long car trips. With compatibility support for a good portion of your Iphone apps, this stereo head can also be used with Kenwood double DIN navigation, and works as a fully functional GPS, a map, and a host of other driving apps to help you get the most out of your car and make traveling that much easier. This model is perfect for those of us with long commutes, family vacations, and anybody who wants to add a few more features to their RV. Here’s our full review of the DDX271. 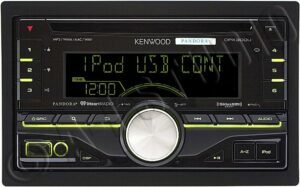 While it may sound simple, the best choice for a Kenwood head unit for your car really depends on you. 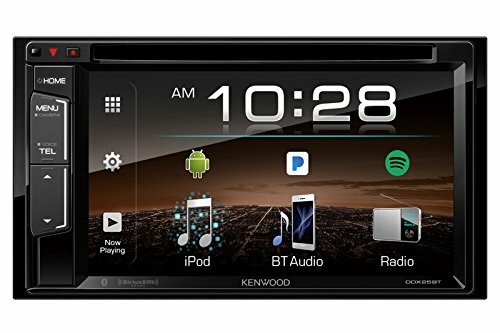 If you’re more comfortable with more features and more technology in your stereo head, or you have more of a need for high-end features, you should probably go for the Kenwood touch screen head unit (DDX271). If, however, you’re just looking for a way to use your mobile music player effectively in your car, you can save yourself a lot of money, installation, and troubleshooting by just picking a simpler model. You’re not losing anything picking just the features you need on these stereo heads; they’re all Kenwood car stereo products, and they’ve all get the same great sound quality. It just makes sense that you take a look at what you need, what you want, and how comfortable you are with your technology before you make a big purchase like this; whatever you choose, however, we’re sure you’ll be satisfied with what you get.